There are a variety of plant protection techniques and garden products to invest in that can help safeguard your plants. Hedges Directs rabbit guards and garden canes are the ideal solutions for ensuring your smaller, delicate young plants are well cared for and protected, allowing them to reach maturity. It can sometimes be a difficult decision whether to use rabbit guards or garden canes in your garden. We recommend to people who are nervous about rabbits to begin protecting their plants without using rabbit guards or garden canes. If the problem persists and the rabbits are taking your plants, or youre already aware that theres a problem in your area, then we strongly advise investing in the right plant protection. As adorable as rabbits can be, they can also cause havoc in your garden. They can reach up to 60cm, higher for hares, so if you have plants above that height, the rabbits might strip them bare at the base, but you will still have some top growth. Also, taller plants are too difficult to fit into rabbit guards. 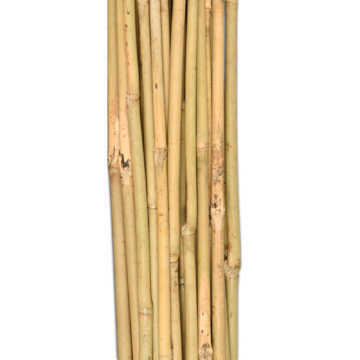 Garden canes are recommended to buy if youre using rabbit guards. They help to pin the rabbit guard in place. Canes can also support bare root plants up to about 1m in windy areas. It is sensible to check a week after planting and if any plants have rocked loose in the soil, if they have, firm them in again.